Wonderfully spacious, doublewide mobilehome in Eastwood Meadows... a family park in Escondido with a clubhouse, pool + wading pool, BBQ area, playground, dog park, mini-gym and billiards room! Updated appliances in kitchen with 2-seater bar opens into dining room which flows into huge living room & bonus family room. 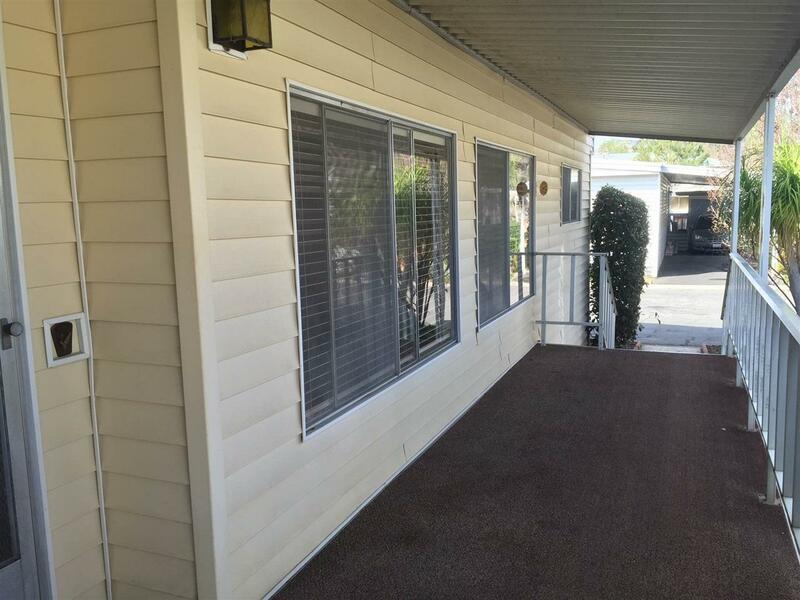 Original owner has replaced all carpet, exterior siding & insulated roof since purchase. Covered deck is plenty roomy for outside dining. Be the first to grab this value-packed property!, Space rent is $720 per month and is a five-year lease which includes water. All buyers must be approved by park manager (contact listing agent for details) and all pets must be approved by management. Home is sold AS IS and no Section I or II termite repairs will be made. Termite report is available upon request.